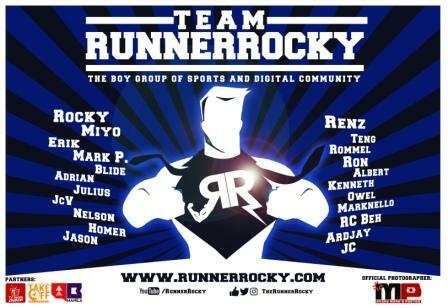 Basketball is one of the sports closer to Runner Rocky's heart. 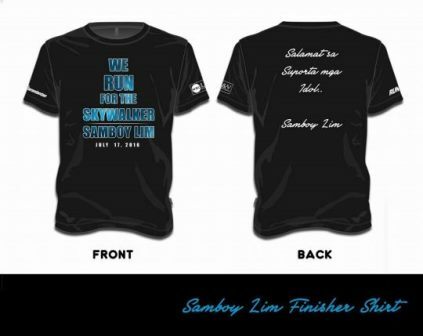 And glad that an interesting fun run is dedicated to this sports specially to the PBA icon, Samboy Lim! 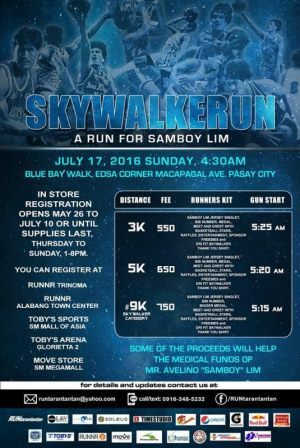 Runtarantantan brought us the said fun run dubbed as "We Run For The Skywalker Samboy Lim" or simply "Skywalkerun: A Run for Samboy Lim." 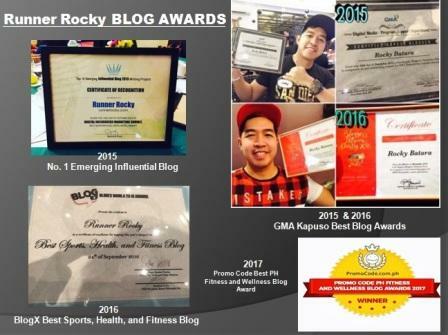 This will be happening is happening on July 17, 2016 at Blue Bay Walk, Pasay City. 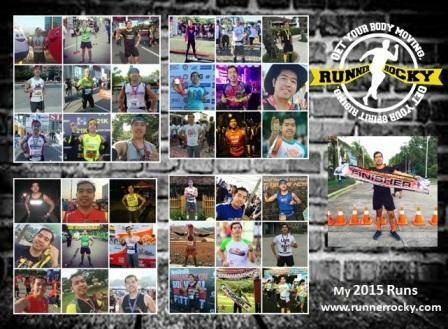 The event is not only a fun run. 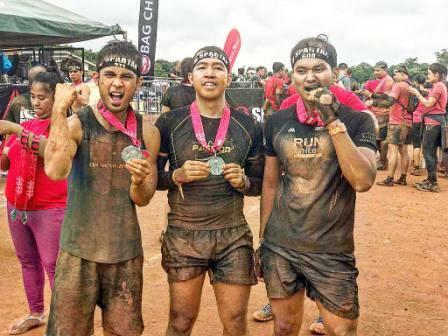 This is also a charity event as part of the proceeds from this event will go to the medical funds of Mr. Avelino “Samboy” Lim. 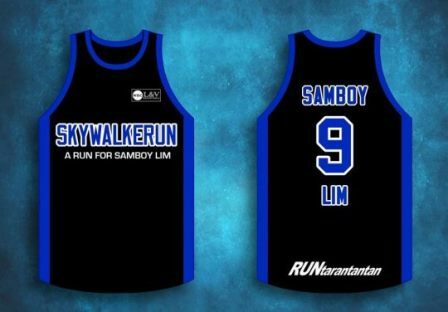 Inclusive of Samboy Lim Jersey Singlet, bib number, medal, meet and greet with basketball stars, raffle stubs, entertainment, freebies, and dri-fit Skywalker Thank You Shirt. 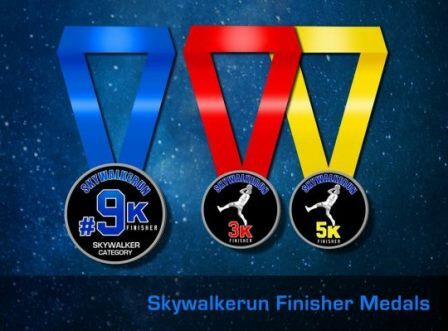 Cool bibs and medals also await the runners of all categories.